Coffee drinkers know that not every cup is created equal. No, those who truly want an experience have to search for the highest quality blends. Well, for a fortunate 300 consumers, the wait is over. They can now buy an exclusive limited edition coffee kit produced by one of the major brands in the industry. 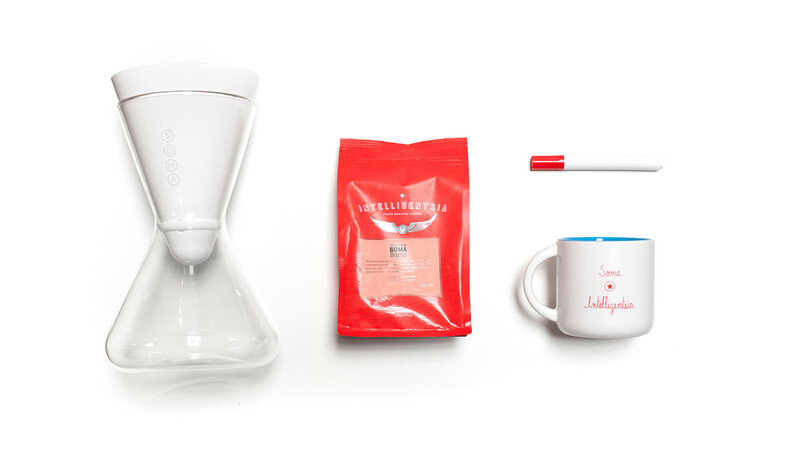 The Soma Limited Edition coffee kit comes with a Soma Carafe, made from glass perfected in Germany. The Carafe produces high-quality filtered coffee, about 40 gallons per filter. Purchasers also receive a 12 ounce bag of Intelligentsia Soma Blend coffee, with its unbelievably smooth aroma. Connoisseurs will enjoy sipping on their java in the also included customizable coffee mug. The erasable print on the mug prevents the chosen designs from degrading even with frequent use. Last, but not least, the folks at Soma prove their dedication to a good drinking lifestyle with the Guide to Brewing Better Coffee. There are only 300 on the market, making this product a sure collector’s item in the coffee world. People can obtain the kit online at the Soma store for about $75. This kit is the perfect gift on any occasion for the coffee drinker in life. Father’s Day, Mother’s Day, Christmas and New Years all come to mind. The days of having to make do with lackluster blends will be no more now that Soma has made its exclusive kit available via the internet. Anyone can sit down to the perfect cup of coffee, something that was once only available to those who could afford to visit expensive coffee houses and restaurants.